After someone makes the decision to pursue a truck driving job, the next question that typically comes up is, “How do I go about getting a CDL license?" Well, as with most careers these days, it’s a good idea for an aspiring truck driver to attend one of many trucking schools around the country. Engineers have to get schooling on their chosen career path before being considered for a job -- truck driving is the same way. Trucking schools vary in the length of their programs. Run a quick Google search and you’ll see some trucking schools offering a CDL license in under a week or sometimes, even days. This should be a red flag -- how good can the training really be if their students learn everything in under a week? Better yet, do you really want to be driving next to an 80,000 lbs semi with a trucker who only went to school to drive that thing for a few days? Probably not. The ideal trucking school is right around 3 weeks in length and will cover everything a student needs to know in order to get a class A CDL license. Most trucking schools contain a classroom portion followed by range and street driving instruction. A valid trucking school should employ instructors who have substantial driving experience in order to provide the best training possible for their students. 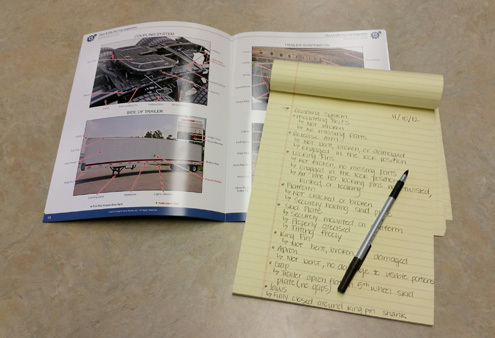 Topics of study during truck driving school include how to keep accurate log books, map reading, trip planning, turning, shifting, backing, and parking, among many other areas. After completing trucking school, drivers will continue to on-the-job training with their carrier company where they will work to polish and refine their driving skills. PAM Transport has partnerships with several trucking schools around the country. PAM applicants will attend a CDL training school in their area to learn the ins and outs of truck driving. After completing trucking school, drivers will head off to PAM Transport for on-the-job training to begin a new, well-paying truck driving job. PAM Transport provides a company sponsored training program for qualified applicants. Drivers who agree to work for the company for a year will receive free CDL training at one of the trucking schools in their area. To begin your trucking career, complete the online driver application below. Just give us some basic information about yourself and after completing the app, you’ll be able to schedule a time to speak with one of our driver representatives about your school and job options.